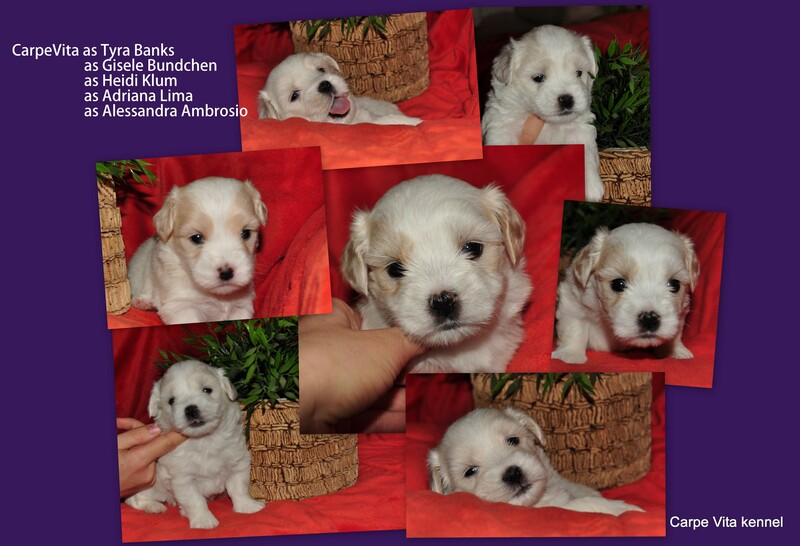 Coton de tulear puppies from Carpe Vita kennel are 8 weeks in age. Carpe Vita- coton de tulear puppies are 6 weeks old. Coton de tulear puppies from Chunga are 5 weeks old allready...They are very brave and playing with thair big brothers and sisters.